The schemes have an increased focus on new and emerging writers and talent development, including mentoring opportunities. 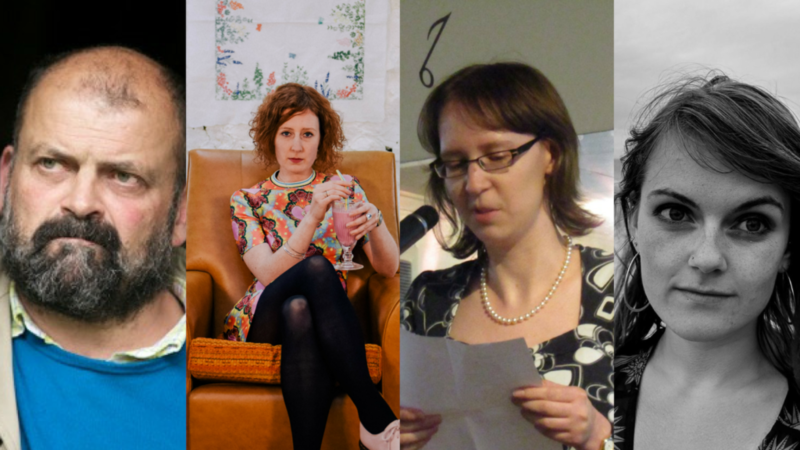 Four writers have been awarded a place on the enhanced Mentoring Scheme: Mari Ellis Dunning, Rachel Carney, Nicholas McGaughey and Branwen Haf Williams. They will be joined by 6 recipients of ring-fenced Bursaries (the New Writers’ Bursaries and Under 25 Bursary – biographies below). The scheme will begin with a bespoke Mentoring Course at Tŷ Newydd Writing Centre in February 2019, followed by individual Mentoring sessions during the year, as well as opportunities to network with representatives from the publishing industry. Rachel Carney completed her BA in Aberystwyth in 2006, and returned to Wales to work in 2009. She has an MA in Museum Studies and is currently studying for an MA in Creative Writing part-time, whilst working in a library. Her poems have been published in several journals including Ink Sweat and Tears, The High Window Journal, and The Ekphrastic Review. She also runs a monthly ekphrastic writing group in Cardiff. In 2016 she started a book blog, and has since written articles and reviews for various magazines including Wales Arts Review and the welsh agenda. Mari Ellis Dunning writes poetry and fiction. Her debut children’s book was launched at the Abergavenny Writing Festival in 2016. Mari has been a runner up in the Robin Reeves Prize and twice in the Welsh Poetry Competition; she has been both first place winner and highly commended in the Terry Hetherington Young Writers’ Award, has been the winner of Seren’s annual Christmas Poetry Competition, and has work published in several journals and anthologies. She has an MA in Creative Writing and currently lives in Aberystwyth. As evidenced in her debut poetry collection, Salacia, the coast is hugely important to her writing. Nicholas McGaughey is an actor who lives in Pontypridd. Last year he published poems in, amongst others, Ink Sweat and Tears, Poetry Salzburg Review, Lampeter Review, Poetry Scotland, Skylight 47, A New Ulster, The Poetry Shed, Chicago Literati, Popshot, London Grip, Envoi and Gyroscope. He has work forthcoming in the anthologies Noon, Story Cities, As You Were and An Outbreak of Peace; eight of his poems will appear in a joint pamphlet with four other poets later in the year, to be published by Arachne Press. He is working towards his first collection of poems Nurse. Branwen Haf Williams works as a freelance creative, and also plays with and writes for bands such as Siddi and Blodau Papur. Between running a record label and conducting choirs, she delights in writing lyrics, poetry and pieces for the theatre. Branwen hails from north Wales, and after a period studying in Aberystwyth and Cardiff, she is delighted to be back in her native Llanuwchllyn.